NTBackup application has been highly used for creating Windows backup file in various Operating System like Windows XP, 2002 and Windows Server 2003. This utility provided users a medium to create backup of their computer data files as a single BKF file. This file can be easily restored whenever needed using same application with its restore facility. But it has been noticed that a minor damage in structure of Windows .bkf file can ruin your efforts of creating backup as damaged file cannot be restored by NTBackup.exe utility. To overcome this situation we have built MS backup file recovery software which also helps to repair corrupt Windows backup data and restore BKF to Windows 7. It incorporates many brilliant features and also comes in a free demo version to let users know about software prior purchase. Our Windows backup file recovery software provides multiple modes of scanning and this makes the recovery of data from backup file more convenient as done using various types of scanning modes. » Quick Scan: For minor corruption this scanning mode can be utilized which quickly scans the complete file and restore it to the desired location in your hard disk. » Deep Scan: This scanning mode can be opted when there is major corruption issue in backup file and file needs to be scanned thoroughly. This scan mode is quite advance and undergoes bit by bit scanning of backup file. » Range Based Scan: In case you need to perform portion wise scanning then this can be done using range based scanning in which you just need to feed percentage-wise portion of Windows backup file and tool will perform the procedure of scanning to that portion only. All these scanning modes makes the recovery process of data files more convenient according to different needs of software. This software also works for Windows 7 and thus you can restore BKF to Windows 7 also using this software. MS Backup File Recovery software is compatible to all the versions of Windows Operating System and thus it completely resolves issue of non-availability of NTBackup utility in Windows 7 and 8. 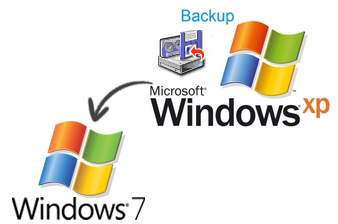 As said before NTBackup application is a must in order to restore BKF file but advance versions like Windows 7 do not have this utility and hence it becomes impossible to restore BKF to Windows 7. But our software does not require NTBackup utility and repair corrupt Windows backup data supporting all the version of Windows versions and hence it is a suitable choice if you have want to restore a backup file in Win 7. You can download the demo version to evaluate the performance of the software and execute it practically, once you get satisfied and familiar with the software you can then restore BKF to Windows 7 or any other version without any restrictions and recover data from backup file. © Copyright 2012-2019 | www.restorebkffile.com | All Rights are Reserved.